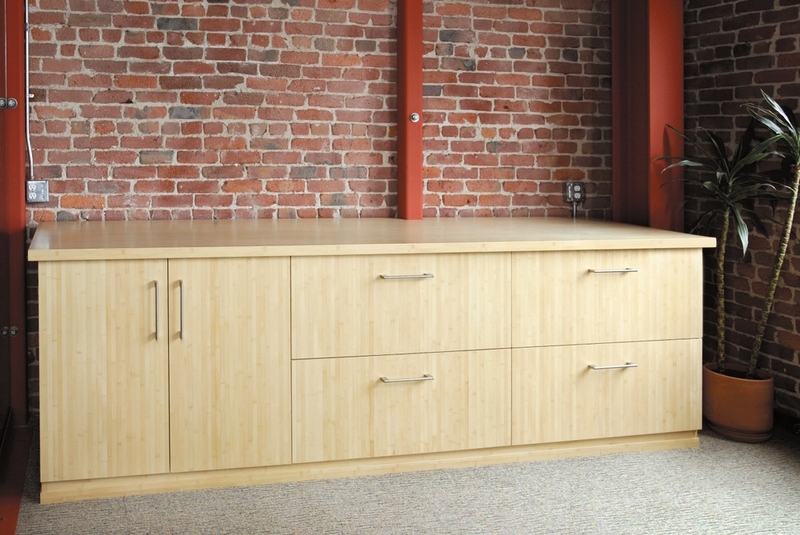 We pride ourselves on designing and building a variety of custom cabinetry. Whether a client is looking for a custom office or a family room entertainment center, we enjoy working with them to establish and meet their needs. 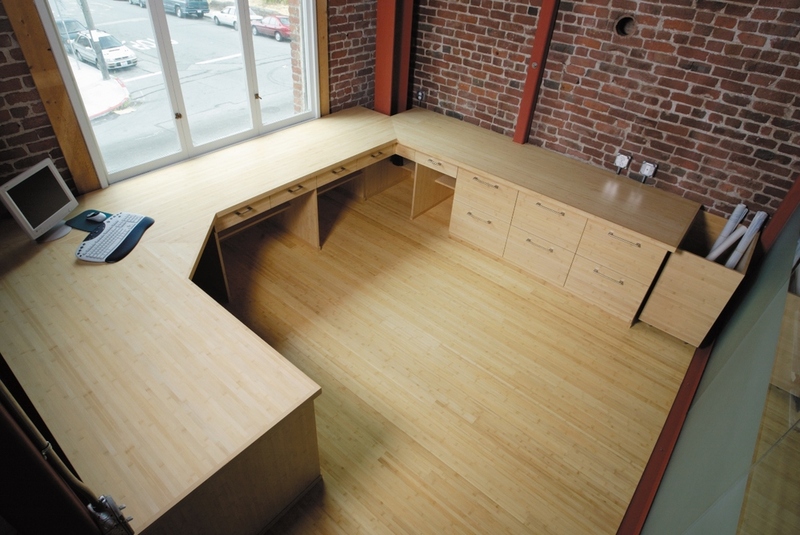 This office was one of the first custom bamboo cabinetry jobs done in the San Francisco Bay area. The bamboo was highlighted by the unique glass, steal and brick work. This media cabinet in a highly figured cherry wood was designed to hide all the family's media equipment providing a clean modern look to the home. 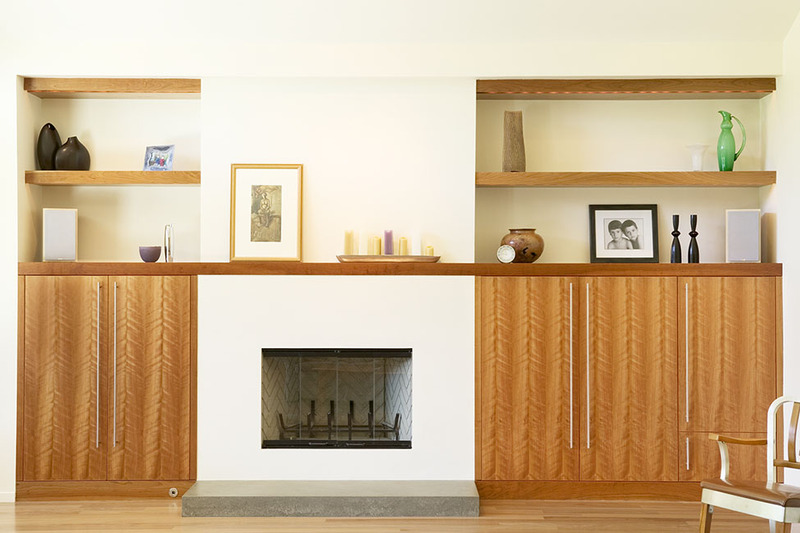 Lights were built into the floating shelves to illuminate the countertop. Located in Marin County, California.